The Music Nomad Premium Drum and Cymbal Care System is the ultimate professional grade 4-piece drum and cymbal care kit. 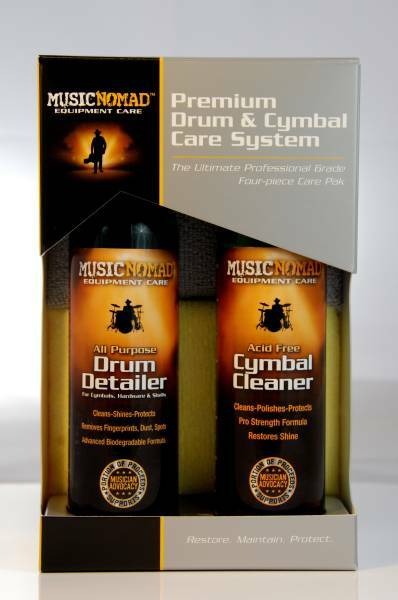 The drum and cymbal care system contains one each of Music Nomad's most popular items to care for the entire drum set. 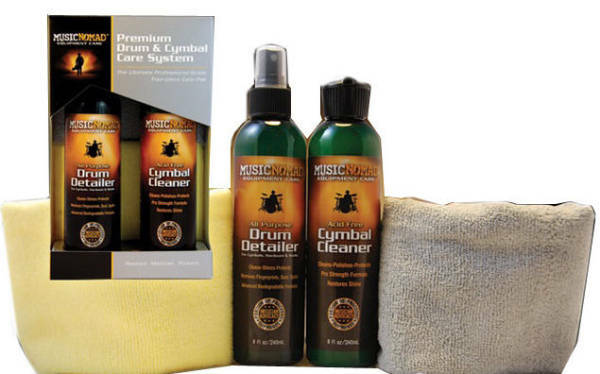 The Acid Free Cymbal Cleaner is fast at cutting through layers of oxides and restoring an eye glaring shine to cymbals. The All-Purpose Drum Detail Polish works fast and effective on all drum shells, hardware, drum thrones, electronic drum pads and drum cases. Comes with 2 super soft, premium quality Microfiber Towels so you can dedicate one towel to each cleaner. A must have product for all drummers! 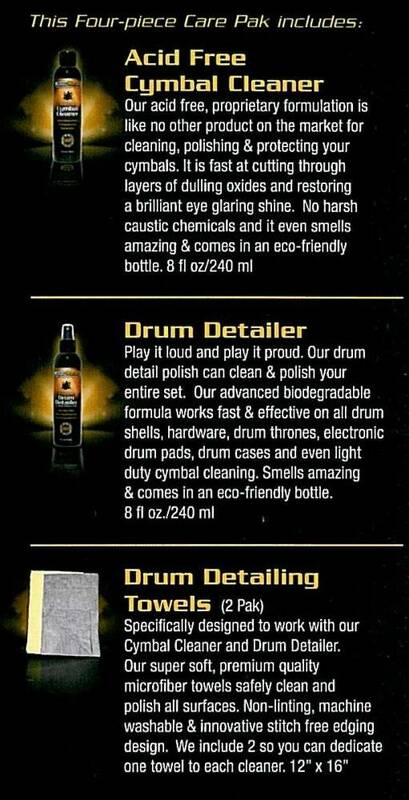 Acid free, proprietary formulation is like no other product on the market for cleaning, polishing and protecting your cymbals. It is fast at cutting through layers of dulling oxides and restoring a brilliant eye glaring shine. No harsh caustic chemicals and it even smells amazing. Eco-friendly packaging. Specifically designed to work with your Cymbal Cleaner and Drum Detailer. The super soft, premium quality microfiber towels safely clean and polish all surfaces. Non-linting, machine washable and innovative stitch free edging design. Includes 2 so you can dedicate one towel to each cleaner. 12 x 16 in.